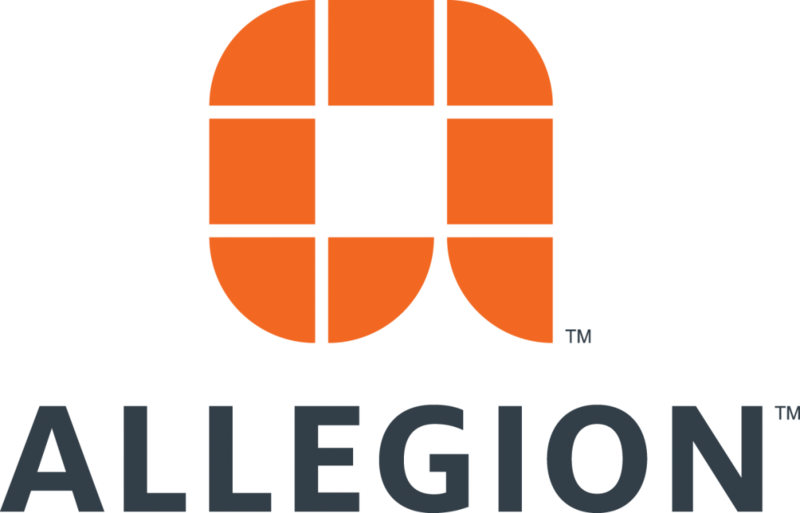 I’m Lori Greene, Manager – Codes and Resources with Allegion. I can’t tell you how many times I’ve heard an architect say, with passion, “I HATE HARDWARE!” On the other hand, I work with lots of hardware consultants who like hardware enough to work in this industry for 10, 20, 30, 40 years, or even longer (you know who you are!). I also field questions from security consultants, code officials, locksmiths and other facility personnel who have a healthy respect for doors and hardware. I have worked in the door and hardware industry since 1986, starting with an aluminum storefront company, working with 2 different door and hardware distributors and a manufacturers’ rep agency, and finally joining MPS Sales in 1994. MPS was the New England representative for several hardware brands that were part of Ingersoll Rand, and in 2001 we became direct employees of Ingersoll Rand Security Technologies. In December of 2013, IRST’s security-related businesses became a separate company – Allegion. My current job is to provide support and education on the code requirements that pertain to doors and hardware, as well as working in code development. I started iDigHardware.com in 2009 because during my career I’ve been asked hundreds of questions, many of them again and again. You will find many answers on this site (you may want to start with the Articles page), and for specific questions you can contact an Allegion representative in your area who is knowledgeable about the local code requirements. The Allegion Code Reference Guide may be helpful, and there is also online training available. Good stuff Lori. I hate hardware too! Harris stopped by our place today and mentioned your site and all the hard work you’ve put into it. This is my first visit here and I’m quite impressed. Nice Work. Just found out about your site today!! What an invaluable tool! Great site Lori….can’t wait to read it all. Thanks for all the time you must put into this!! What a wonderful thing, Lori! You’ve found a way to spread your hardware-brilliance further afield. To all of you newcomers, welcome to the best consultant you’ve ever met! I really appreciate all that you and your colleagues do! Well, I guess the cat’s out of the bag. All of my architect friends who for years have thought I was the smartest guy in the world now know the source of much of my information. Anyone who hates hardware has got to love Lori! You’re welcome Terry! There’s another little contest coming up next week so watch for it! Very impressive,your website is a world of information! I am going to refer many of our friends who are in doors and hardware business. hello lori, interesting site you have here, I don’t work for any business but i have always been into hardware since middle school (6th grade to be exact) and from what I have observed from middle school and got to high school I got hang of it and got started reparing classroom door closers (LCN 4000 series, mixed 4040’s and 4010’s) believe it or not I find fixing doors interesting. This is an awesome site!! I saw it right after you started it and it has grown tremendously. I’m going to bookmark it on my desktop. What a wealth of information written in a comfortable, casual, concise, easy-to-understand style. EXCELLENT!! Lori, stumbled on your site and am very impressed, especially the pictures showing the issues or hardware involved. In the code business we sometimes don’t know hardware like we should, and it helps having somewhere to go to say, “here’s the issue, what do you have that is code-compliant”. I hope you don’t mind my opinions on the site, and I will be happy to give an interpretation from a building code/fire code perspective whenever I can. After visiting this site throughout the last couple months, I can say I LOVE HARDWARE, lol. This is actually a very good source of information for all hardware people as well as those not in hardware but who just want to know about it. Great job Lori, don’t forget my request on “industry profile” person. Thanks for making hardware somewhat humorous, the pictures are worth a thousand words. Lori….great site…..it is clear to me that you spend a significant amount of time and effort keeping this site up to date and relevant for a broad audience. Keep up the great work!!!!!! Lori, Thanks for being you and thanks for all the help over the years. we are also very lucky to have you working at the SSC New England. Very nice site! In addition to Funky Applications, it might also be fun to see Super Unique But Totally Excellent Applications. I hate dealing with hardware, but I love this website! You are a huge help to me and others. I’m glad you’re passionate about this. Let me know when I can help you out too. So happy to have found your site. 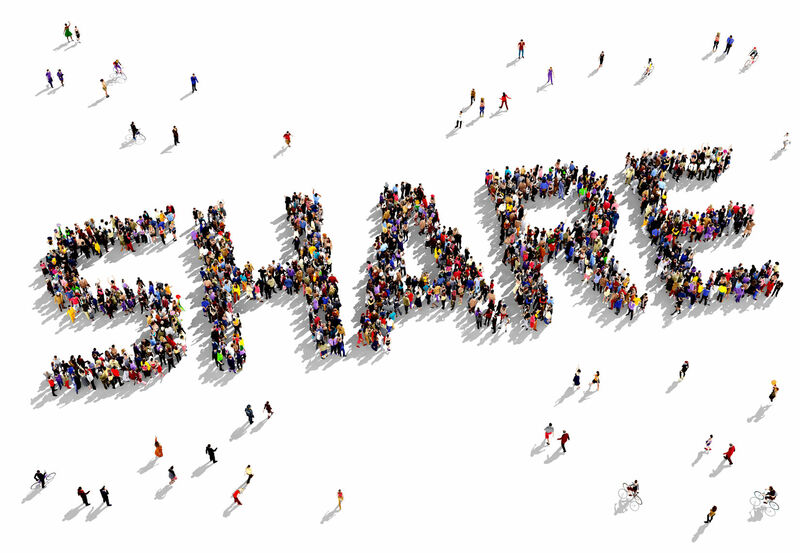 As my site visits increase over the coming months, I hope to be posting and sharing some stories with you. Consider yourself bookmarked! Thanks for the comment, Dan, and good luck with your interview! I wanted to comment on how much I enjoy your post and site. It has a lot of valuable information. If your ever short on topics to write about, please let me know. I have a few topic about doors that I would love to see you write about, if you have not written about them in the past. Have you written anything or posted anything on Won Doors? or Auxiliary Fire Latches (LBR’s) or power operators of fire doors having to be interfaced with the fire alarm system to shunt power in a fire alarm event? Do you have any pictures of Harris’ old VW Rabbit???? Thanks for the nice words about the 4040XP. Hello Mark, its really great that the 4040XP got all the improvements to prevent wearand tear from daily use as well as other brands from “copycatting” the body style. where else can you find the Last Closer Needed???? i have always been a fan of LCN closers ever since i was 12 noticed the 4040 using an EDA arm (standard edition) on the classroom door in 6th grade. i have an idea that may be a good advantage to LCN and convenient for installers who install the 4040, basically my idea involves the backcheck selection valve and its location. another idea i had, (idea from when i was young too, but never did anything about it, that T handle used on H-CUSH arms, why not dip it in tool handle grip rubber (or some soft material) some of these hold open arms i have turned the handles on, ahh, where not too easy to turn and can easilly hurt the user’s hand or fingers. Lori, great site. I am recommending this to every hardware geek I know. I have been in the business for 15 years and within a few minutes I learned and updated valuable knowledge. Everyone interested in learning about our business and how it relates to their jobs should read this regularly. Building owners and facility engineers should have this as their homepage. Thank you so much! That really means a lot. Let me know if you have any suggestions for topics to cover. Congrats Lori on your Presidents Award!!! I knew this was a fabulous site, but now the rest of the organization does. My name is zvika greenberg i am 63 from Haifa Israel. I work as a Safety Engineer at Bnai Zion Haifa Medical Center. I like very much to write. It will be 2500 pages. I am now on page 300. I started with “Loss Prevention in the Process Industries” from F.P.Lees who was my lecturer at Loughborough University 1984. I continued with Hospital Ventilation Systems, Life Safety Code NFPA 101. After writing 300 pages I have a view about Standards. It was you who changed my attitude toward my writings. GREAT website. I can’t tell you how many people have told me over the years “I have a great website,” but when I looked at them, there was always something wrong. Maybe the info was erroneous, sometimes it was too cursory, too proprietary, or even just too hard to read, but yours is everything you said, and more. I’ve already passed it on to a local code expert, who has bookmarked your site, and he doesn’t bookmark much! I love hearing from a true professional who knows their stuff. I greatly appreciate your comments, and love your site. Enjoy it Saul! And let me know if there’s something you’re looking for and can’t find. not sure if you deal with revolving doors, but do not remeber an article about them?? Thank you so much!! I really appreciate the feedback (especially the positive feedback :D)! Good luck on your new adventure! I came to know about your website today during DHI training class in Mississauga. Thanks Aamir! Let me know if there’s anything I can do to help you! I met you years ago at a DHI dinner on City Island. I’ve been in hardware since 1996, and doors and frames for 2+ years now in distribution. Your website is great for thoroughness and clarity. It’s nice to be able to feel more confident that I am quoting/furnishing a job correctly after confirming something at your site. Thank you so much for taking the time to leave a comment! I’m really glad the site is helpful to you. I remember the City Island dinner…I was very impressed with how vibrant the NYC chapter was. If you are serious about wanting a 5′ real working Hobbit door that works, I have one that I built. house is being sold, the door has to go. I have pics if you would like to see. I’d love to see a photo! My email is lori.greene@allegion.com. I had a confuse about the astragal. I saw many posts here and cannot get the result. As the case above, it had astragal in pair door with two vertical rod on each leaf. I knew the overlapping astragal should not be used. But in NFPA below, if it is in means of egress, shall not be equipped with astragals. 1) This astragal means any astragal cannot use in pair doors with two vertical rod in each other? 2) Or only overlapping astragal cannot be used? 3) Or split astragal or rubber type astragal can be used if it will not conflict the pair door swing in the same direction? Since I search many posts but cannot get the answer, hope you can help me. The UL10C fire door is 90min FRP. Thanks a lot. with astragals that inhibit the free use of either leaf. If you have two vertical rod panic devices on a standard swing pair, you are correct – you can’t use an overlapping astragal. You can use meeting stile gasketing – two pieces of gasketing that meet in the middle, as long as the gasketing does not restrict the use of either door leaf. If the doors are fire-rated, the gasketing must be listed for use on a fire door. If you have double-egress doors, you can use overlapping astragals because the astragals won’t restrict the other door since the doors swing in the opposite direction. Very thanks for your clearly explanation. You solved my doubt. Thank you for helping me look good. Your advice, suggestions and thoughful questions all help me make better decisions in the field. We are supplying in Holland ,Finland and Germany market .we can provide all item with competitive price and best quality. We are producing these products in MATT NICKEL,NICKEL,ANTIQUE BRASS AND CHROME. Please find our products list with price and photo with attached this email. I am an architect, but I love hardware. I know many of my colleagues hate it or don’t choose to care about that level of detail in their projects. In my mind, the first and most frequent way users interact with a building is by using the doors. If the doors do not function properly, the building does not work on a fundamental level. Thanks for the great and informative site and keep up the good work! I’m glad you like the site, and thank you for taking the time to comment! Great information on your site. I have 30 years of door hardware experience and still learning. We are putting a church in a strip mall utilizing 3 side by side stores. The wall between the first two stores was taken down leaving room for the Sanctuary. The wall between this room and the 3rd store has a cased opening in the back and double swinging doors at the front joining these stores. The whole front of all stores is glas with glass doors for each store. I hope that drew a picture for you. Now for my question. Do I have to install panic bars on the entrance glass doors if these doors remain open during occupancy. If the jurisdiction has adopted a recent version of the IBC (2006 or later), panic hardware would be required for this Assembly occupancy if the occupant load is more than 50 people. One exception to this is that the main door or doors of a place of religious worship can have a key-operated deadbolt instead of panic hardware if certain criteria are met (see below). OCCUPIED. The sign shall be in letters 1 inch (25 mm) high on a contrasting background. Just wanted to thank you for you many Decoded articles. I read them regularly. I particularly appreciate you knowledge and references to both IBC and NFPA 101 codes when applying the specific article subject to these model codes. As an architect working within the Dept. of Defense, our code policy (unfortunately!*#&!) selectively use content from these 2 model codes (why? !…I don’t know). Because of this I have to aware of both. Anyways, thanks again. Great site full of good stuff! is an ansi function F20 okay for an entrance from a corridor to a reception area that has a suite of offices in it ? i specified F20 Entrance function and would like to stay with it, i hope i didn’t make a mistake and should have specified a F13 Corridor Function. i hope the 20 degree thumbturn, etc. isn’t too complicated for them. The F20 is code-compliant, so that’s not a problem. I wouldn’t use that function in a location where the general public would need to use the lock, but the office staff should be able to figure out how it works. Thanks. it is generally the staff themselves that use it, or medical students who work there everyday sort of as employees. The outside lever would pretty much stay unlocked during the day. My only fear is someone screw around with a thumbturn, or partially turn it, and that the lock starts working like a storeroom F07 lock. Not worried about code, always free egress single action. It is a schlage LV9453 F20. I used the F04 version for individual offices in the suite in a DIRTT Office Front System. and which function would you specify, and why ? thx. I am kind of hoping they could unlock it (all the way) with a key outside in the morning, and it stays unlocked all day unless someone plays with the thumbturn inside. It is in a very secure building on the 14th floor. I think it will be fine. I usually specified the L9456 if I needed the deadbolt. I have a owner of a commercial office building where the main glass entry doors require more than 5lbs to operate. He is proposing using an automatic door operator on one of the doors of a pair. This is a pair of doors but a single door would provide the necessary clearance width for a wheelchair. The concern I have is that they are proposing a “Push n Go” type of operation. There is no button for operation, but the door senses that it is being opened and then the automatic operator takes over to open the door. I have not seen this before, but it seems like it should be acceptable if the door can be moved enough for this sensing device to work with just 5 lbs applied. What do you think? ever seen this application before? Code concerns? I don’t know of a prohibition on the use of push-n-go, but as you said – 5 pounds of force would have to move the door enough to engage the automatic operator. I followed up on this with LCN and it looks like the Push ‘n Go feature on LCN operators requires more than 5 pounds of force to initiate. In most states, exterior doors are required to open with 15 pounds of force so Push ‘n Go would be fine, but in California, Push ‘n Go could be a problem unless other manufacturers’ operators require less force. When are you coming out with some “idighardware” merch? I would total wear your swag. Well, that’s a really interesting question Jillian! 🙂 One of my favorite coworkers actually created an iDigHardware store on one of those websites where you can basically get any image printed on any item. The best was an iDigHardware pillow which he sent a photo of himself using for a nap at his desk. What kind of swag would you wear/use? My next hurdle will be convincing our promo people that someone would actually wear a shirt advertising their love of hardware. Haha. The typical, Hoodies, golf shirts, mugs. Tis the season for toques. Maybe even something only hardware people would understand or use. Like a iDigHardware spanner wrenches or key shaped USB. I’m just spit balling. Thanks Rod! I’ll check it out!